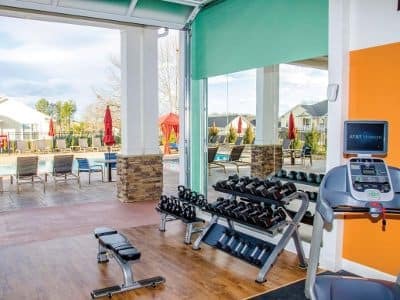 We’ve designed the luxury townhome-style apartments at Springs at Sandstone Ranch to suit your active life. Picture yourself on a cool morning before work. You wake up warm and cozy in your spacious Studio, 1, 2 & 3 bedroom home thanks to top-of-the-line amenities offered. Once you choose your clothes from your spacious walk-in closet, you make your way to your chef-inspired kitchen. You whip eggs for a quick scramble and cook them on your modern energy-efficient appliances. After breakfast, cleanup only takes a moment with the aid of your convenient dishwasher. When you’re ready to go, pick up your car from your optional attached or detached garage, so you never have to worry about scraping your windshield after an overnight snowfall. Then stop at the clubhouse to pick up a coffee for the drive from the free coffee bar. If you want to make Springs at Sandstone Ranch your new home, call our leasing professionals today to schedule your tour of our Longmont, CO apartments for rent.